Somerset's Marcus Trescothick has had to fly home from the Champions League Twenty20 in India after a recurrence of his stress-related illness. The former England opener, 33, will play no further part in the event where Somerset have reached the second phase. 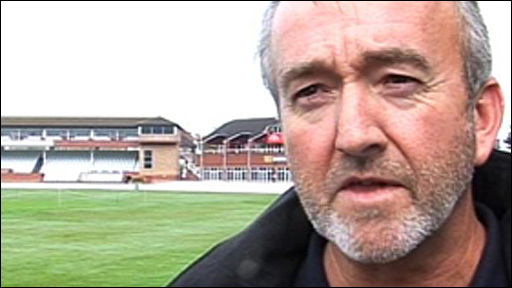 "Marcus has made a great effort to travel to India," said Somerset director of cricket Brian Rose. "Regrettably it has not worked out for him and he has travelled back to England to rejoin his family." Rose added on BBC Radio 5 Live: "It is such an exciting competition, it is highly publicised and there are very big crowds, and at the end of the day it takes its toll. "He's probably about 80-85% but, in these particular games, every game is critical and you need people at 100%. "Marcus admitted a couple of days ago that he wasn't 100% so that's fair enough. "I think his future will be in domestic cricket and that may even help him with this particular form of illness. I think over the next two or three years you'll see Marcus Trescothick performing wonderfully well in county cricket." 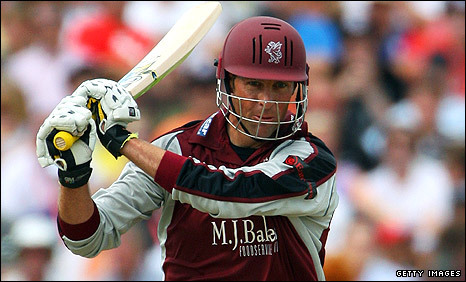 Trescothick, who will captain Somerset next season, scored 17 runs in his two innings in the tournament as his side beat Deccan Chargers and lost to Trinidad & Tobago in qualifying for the next phase. But his participation in the event was always the subject of some conjecture, given his medical history and experiences on England tours. Struggles with depression forced him to return home early from two England tours - the first to India in February 2006, and then to Australia in November that year - after making what proved to be his final England appearance in September. After he then collapsed at Heathrow Airport in March 2008 while waiting to fly out with Somerset for a pre-season tour to the United Arab Emirates, he formally announced his retirement from international cricket. Later that year, while being interviewed on the BBC's Test Match Special as his autobiography Coming Back To Me was launched, Keynsham-born Trescothick revealed that he had suffered anxiety attacks since the age of 10. Although England have struggled to find an aggressive opening batsman for limited-overs cricket since his retirement, Trescothick has twice rejected appeals by successive England captains Kevin Pietersen and Andrew Strauss to come out of his self-imposed international exile. "I know in my heart that the dangers to my health of committing myself to all that goes with international cricket off the field are just too great," he said after turning down the chance to play in this year's ICC World Twenty20 tournament. He enjoyed a marvellous 2009 county season with Somerset, scoring nearly 3,000 runs in all competitions and being named as the Professional Cricketers' Association's player of the year and most valuable player of the year. With Somerset having qualified for the Champions League in India as losing finalists in the domestic Twenty20 Cup, he admitted that his decision to tour abroad for the first time in three years was a risk. "I know the risk and I know what happens when it goes wrong," he told BBC World Service. "I can only try. It's a big competition for the players and for the club. I have got to try and make it happen." Professional Cricketers' Association chairman Vikram Solanki said his organisation would provide any support Trescothick required. "I hope he is now back with his family, where he is comfortable, and I wish him well for a speedy recovery," the Worcestershire skipper, who played alongside Trescothick for England in one-day cricket, told BBC Radio 5 live. "He's very much a team man and Somerset is in his heart. He would have done his best for Somerset but unfortunately it's not worked out. "Whatever help he might require, the PCA will be very willing to help, to provide assistance when it is needed. "It's just a question of what sort of help Marcus requires. There is quite clearly a provision for counselling if that is what is needed. Certainly there is always someone on the end of the phone. "We're a pretty close-knit unit around county cricket and I'm sure there will be no shortage of people on hand to help if he so requires."